Heading to the mountains this season and require Winter Mountaineering Equipment Rental? Equip yourself safely and wear the appropriate kit. Book your Winter Mountaineering equipment online with ease and have equipment delivered to your accommodation* ready for your day on the mountains. We run a free of charge door to door delivery service for all rented equipment across the following areas; Aviemore, Kingussie, Laggan, Kincraig, Newtonmore, Nethybridge, Carrbridge & Boat of Garten. If you are staying in an area not listed above we will arrange a collection point. 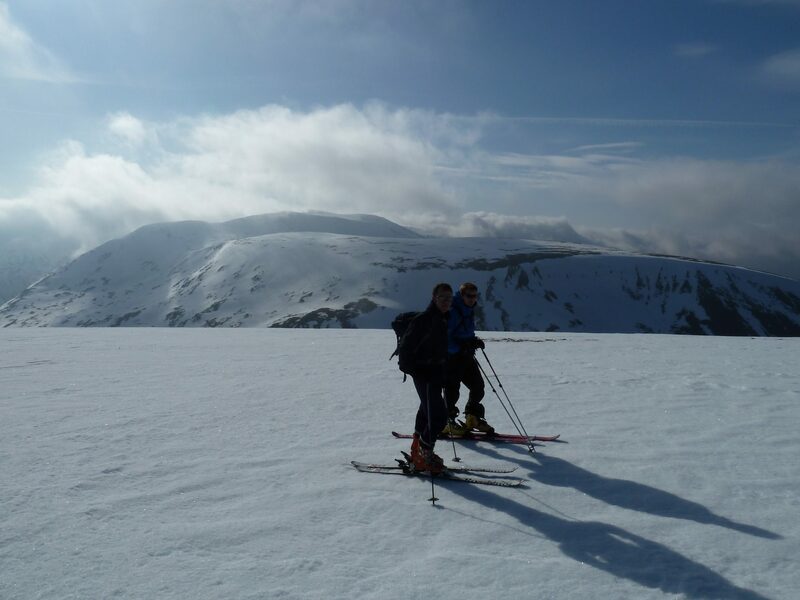 We offer skill days & courses for Winter Skills, Winter Climbing & Ski Mountaineering. If you are looking for accommodation for your trip to the Highlands please see our accommodation facilities. *Winter rental in Aviemore; drop offs to accommodation are at 6pm – 9pm on the evening before the day of hire and must be ready for collection between 6pm – 9pm on the last day of rental. Drop offs restricted to postcode areas PH20 – PH25. If in doubt please contact us direct prior to booking to confirm a drop off point. Picking up direct from us in Newtonmore from 8am & returning by 6pm on last day of hire. All rented equipment is booked in line with our terms & conditions. Damage sustained whilst on rental is chargeable. Payment details are taken in lieu of a deposit. Ski Mountaineering Rental: Our ski touring equipment is bookable for personal use & if you are booked on for a ski mountaineering course. Those booking for personal use should have the skill, knowledge and experience of off piste terrain to travel safely in the mountains in challenging conditions.